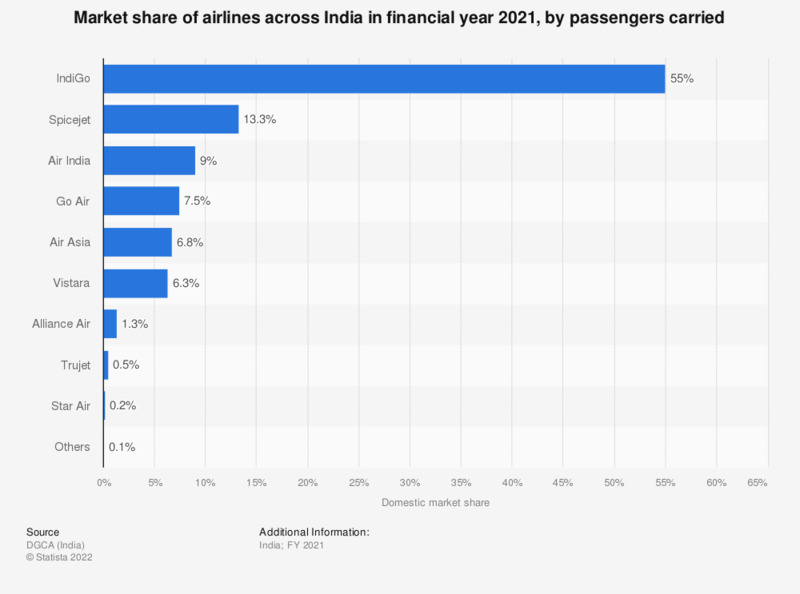 This statistic illustrates the leading airlines in India in financial year 2018, based on the share of passengers transported on domestic flights. IndiGo was the leading carrier in the domestic market with a passenger share of 39.7 percent that year, followed by Jet Airways with 15 percent. India's financial year starts in April and ends in March. For example, FY 2018 started in March 2017 and ended in April 2018. Everything On "Air carrier market in India" in One Document: Edited and Divided into Handy Chapters. Including Detailed References.